First some musings and then a couple of cards today. Sometimes I just go on a wonder around the Internet to look for information after hearing or reading something. A couple of weeks ago I heard somebody on some TV programme (I wasn’t really paying attention to what was on the TV so don’t know who or which programme) mentioned someting about different colours having different meanings and moods. Well, there are a lot, and I mean a lot, of different, sometimes conflicting, theories and meanings to be found online. So, as I like purple – some purple shades are currently my favourite colour – I’m sure you’ve already guessed that as it is the colour I chose for banners, etc., on my Facebook Page, YouTube Channel, etc. Therefore I picked one site’s info on the colour purple to look at more closely – “The Psychology of Color: A Designer’s Guide to Color Association & Meaning” posted by Rikard, though he wrote it up from a number of sources he lists at the bottom of his post. I’d like to think that I have picked up a bit of “wisdom” over the years. I’d like to think that I show a bit of “dignity” as well. My “creativity” is quite random, both in terms of how often and when I get creative, and as far as what type of creating I may do at any particular time. 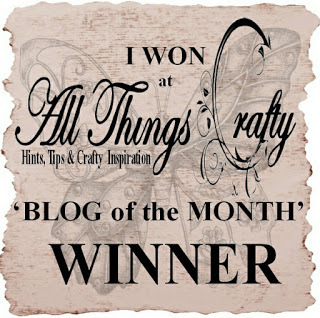 Well, if you have been to visit my blog in the past you will have seen that I like variety of crafting to keep me interested, from quick, short projects, to long projects. Now I don’t think that there’s much “mystery” about me or my online presence. And finishing with “magic” – sometimes crafting can be quite magical. How colours change as a medium dries. How a blank piece of something can change into a crafted piece of something. So, what’s your favourite colour? – perhaps one that appears often in your crafting, or one you’ve chosen as the main colour of your blog or other online presence? You can even click on the link I give above to see whether your colour choice has any meaning that resonates with you. With having a lower molar tooth extracted on Thursday I haven’t felt much like crafting, but Friday evening I thought it might take my mind off my aching jaw and lower face by having a play with making a couple of cards from a kit I had bought recently because I liked the birds on some of the toppers. All the cardstock, backing papers, vellum, toppers, etc., came from the kit, so I only added some sticky stuff, some rub-ons to one card, and a couple of tools – going for easy crafting in bed rather than using trimmers, dies, etc. 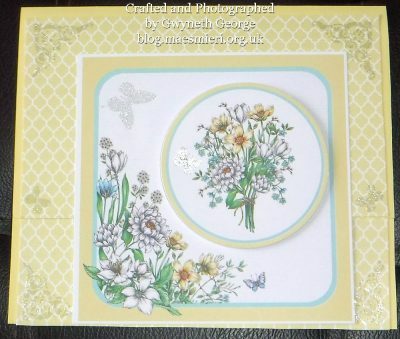 I’m not sure the photos show up that the cardstock and topper frame is a cream colour. 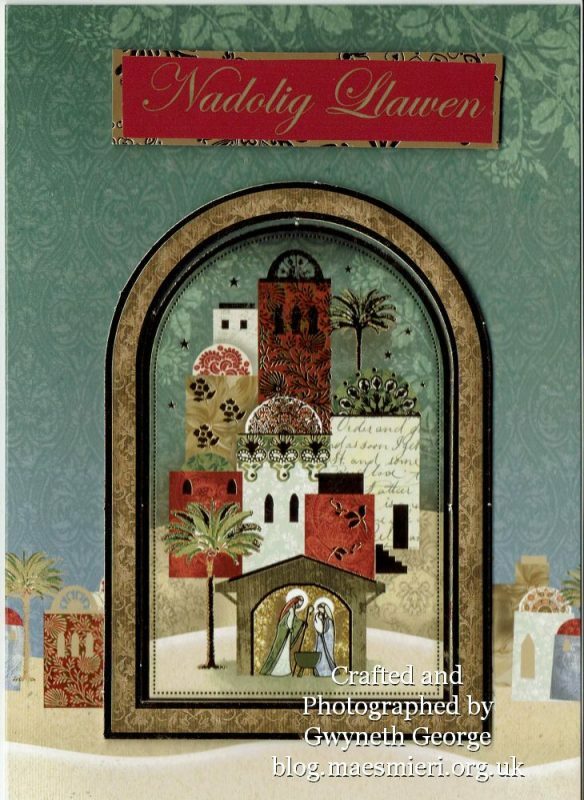 The front is a third cardstock and covered with parchment. The topper was added using dimensional glue gel, everything else is stuck down using tape. 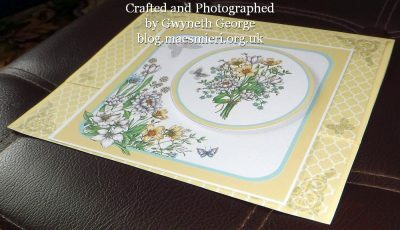 I haven’t put a greeting on either the outside or inside yet as it may be for Mothering Sunday or it may be for a birthday, and it depends who will use it whether the greeting will be in Welsh or English. I chose pale yellow as the main colour for this card, this time I’ve made the front half cut but the topper background is attached so that it is full length on the front and so the card stands tent fold. 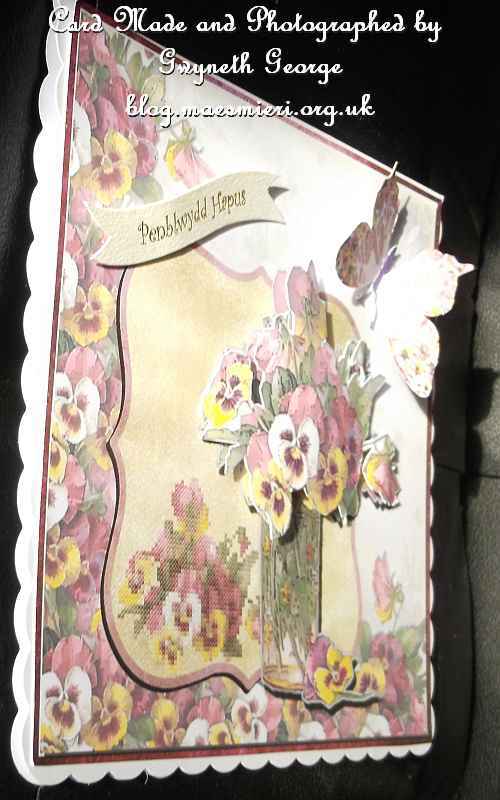 This time I added glitter rub-ons, including one butterfly over a butterfly in the topper picture. Again, the final topper is raised using glue gel and everything else is attached using tape. And it looks like this when standing. Hope you’ll come over for another look at my blog before long. Have a great, crafting, day. 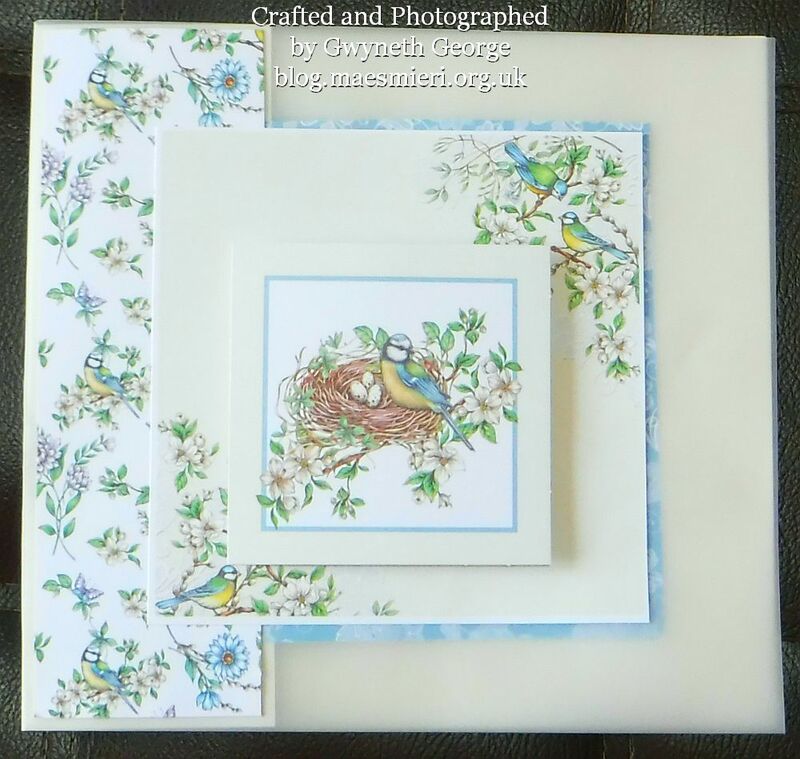 Having used wrapping paper to make a matching card and envelope for one of my younger nephews for his birthday, it did mean I needed to do something similar for his brother. 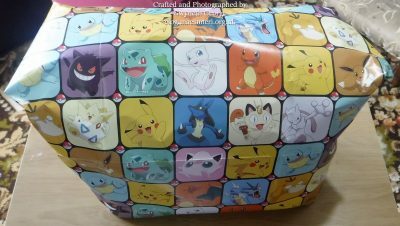 This time I went for Pokemon wrapping paper – bought via Amazon as I couldn’t find a suitable one with Tesco grocery deliveries a couple of weeks ago. I didn’t think I needed to video the makeing of the card this time as the method was very much the same as the previous one. 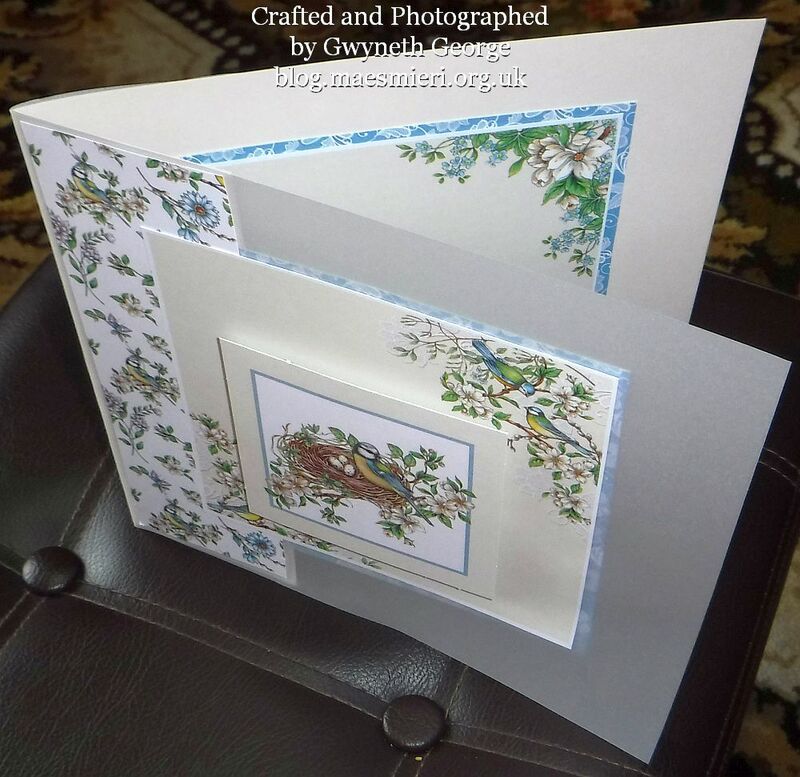 Please pop over to YouTube to see the video of how I made the first one. The main difference in this one is that the wrapping paper consisted of lots of square images, so rather than just cut a panel to fit the front of the card, I cut around the image squares as a strip and individual images. I again used the tag as a topper, and used a fineliner pen to write the greeting, although I added some squiggly lines as well this time. And here is my make. 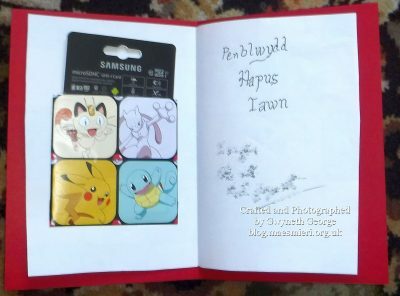 And the inside with the pocket – this time to hold a memory card, which is a very small looking gift that benefits being presented in a gift pocket inside a card rather than just putting wrapping paper around it. The envelope was made in exactly the same way as the previous one. The gift was a bit more difficult to pack as it was a bit squishy, but it doesn’t look too bad I think. This gift is a reasonably sized camera bag to hold all sorts of things in addition to the camera. 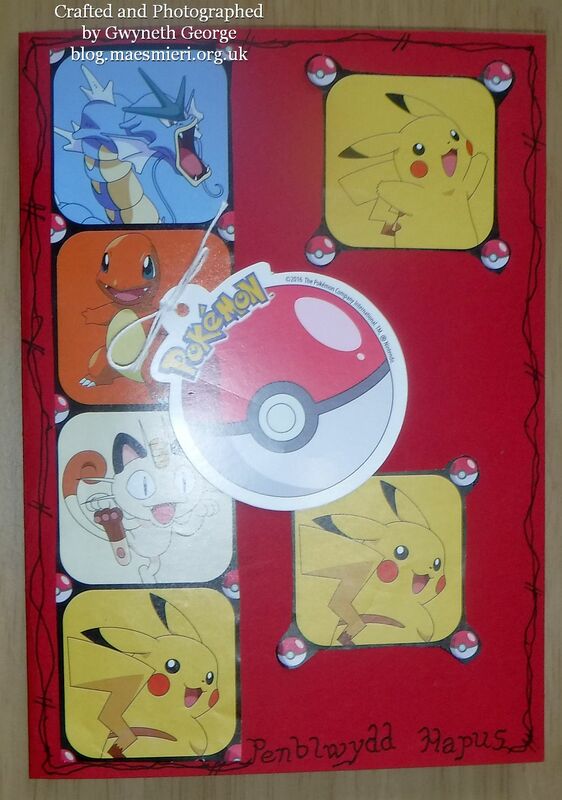 More difficult to wrap tidily than the box shown previously. The more different the shape of the gift I’d recomend putting in tissue paper inside a box before wrapping as it looks far neater and keeps safer. No, sorry. I didn’t decorate the cake! This is a Tesco delivery one. But I thought I’d show it to you in any case. 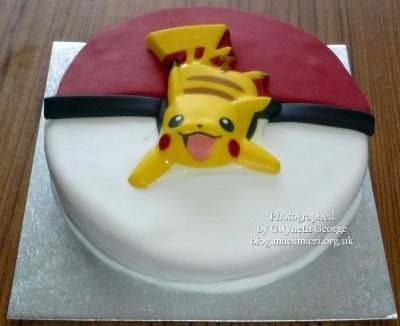 Tesco obviously have a licence to make and sell Pokemon themed items such as cakes. And it tasted very nice as well. If you’ve not already got your name into the hat for the giveaway draw I’m makeing to celebrate getting my YouTube channel set up and the first few videos uploaded, then please do go to my blog post – Here! – to find out how you could get several chances to get the tree I’m giving away. You have until the last day in February to get your name into the hat up to four times. 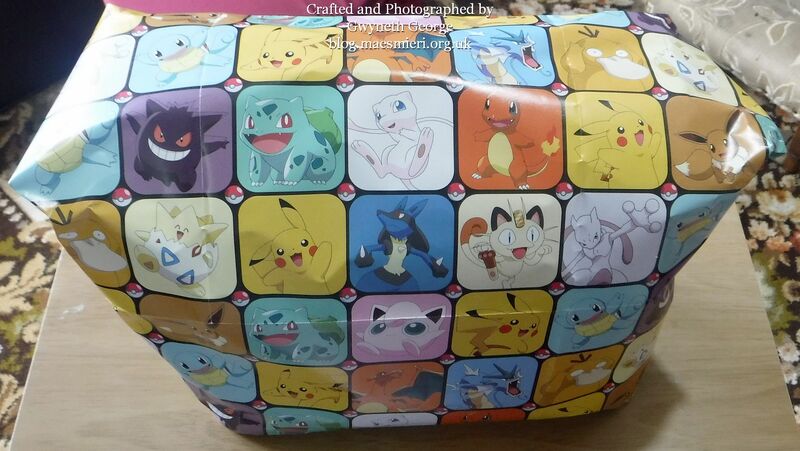 Remember that copyright rules apply to such things as images on wrapping paper. There are well know companies who agressively go after people who make money from their copyrighted images, or who scan, copy, etc., and give them away to others to craft with. It’s one thing to be creative and use wrapping paper in different ways to present gifts in a co-ordinated fashion that won’t look much of anything when wrapped in the normal fashion, such as makeing a pocket card to put the small memory card in, but you can not use wrapping paper to make cards to sell because you don’t have a licence to use them for personal or charitable gain. You can’t just take images from the Internet, print them out and use them in your crafting either – not unless you have bought a licence to do so or have permission from the copyright holder. 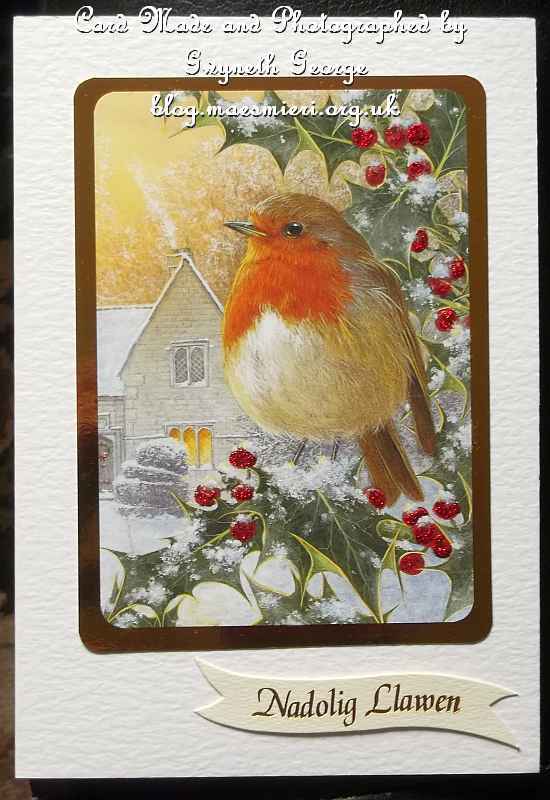 A Christmas Card or Decoration swap was organised on the “Chronic Crafters!” group on Facebook . I decidèd to put my name down and was allocated a swap partner. As soon as I put my name down, even before I knew who my swap partner was I started thinking about which card to send. I decided not to send one I’d already made, but to make something new. I got out some of my Christmas consumables. I have got quite a bit left despite the large number of cards I’ve already made. 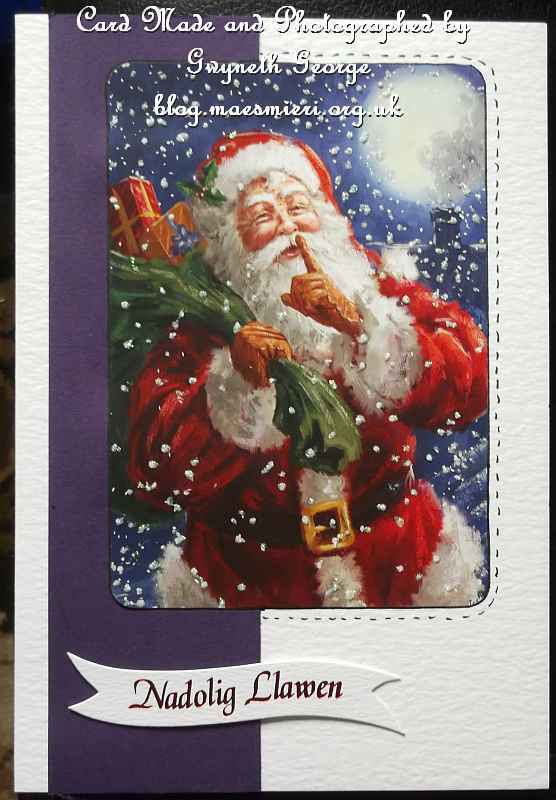 I took a base card, that was pre-foiled with some baubles and a Merry Christmas. 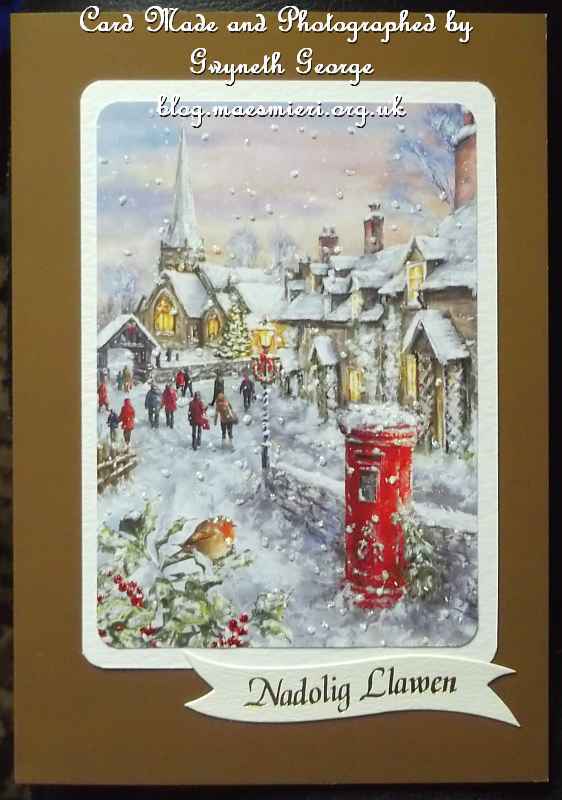 I think it was from a Create and Craft collection, the kit certainly came from C & C.
I chose a topper from one of the Hunkydory Christmas kits. Not sure which of the Hunkydory kit though as I have some bits left from several kits, including ones from previous years. The topper was one that came with a frameing element. I used a roller glue tape on the topper inage itself and 2mm deep, double sided, foam tape around the back of the frame. These were then stuck onto my chosen card front. I used some sticky back faux gems to decorate the card. 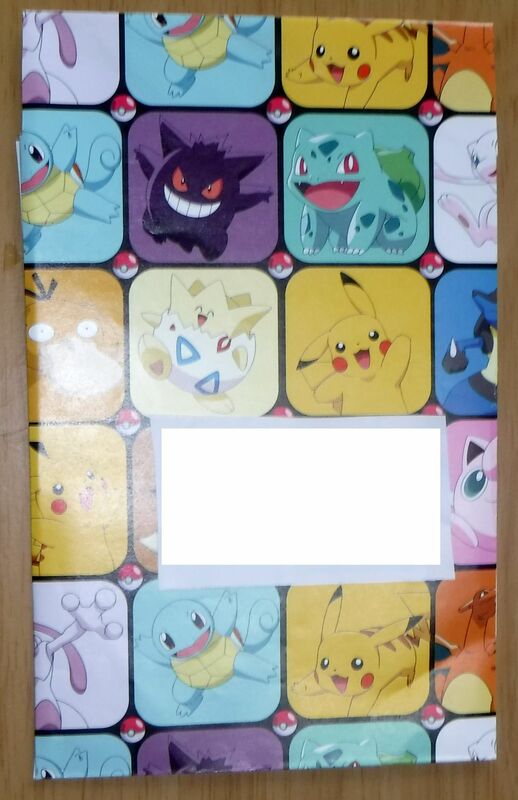 I printed a greeing onto good quality paper, trimmed it and stuck it inside as an insert. 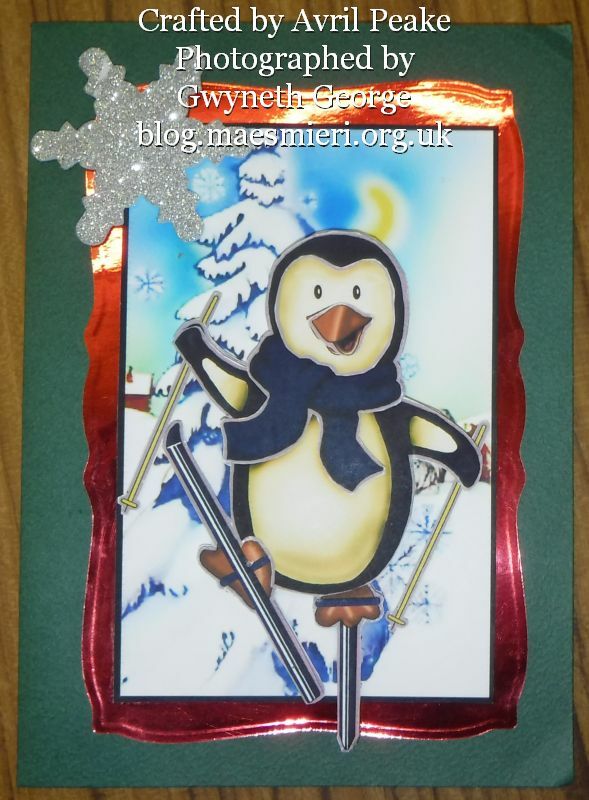 I received a lovely card with a penguin on back from my swap partner Avril. 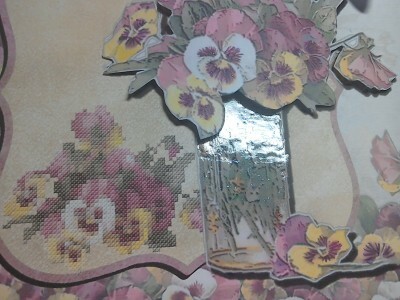 It has decoupaged layer dimension to the image. 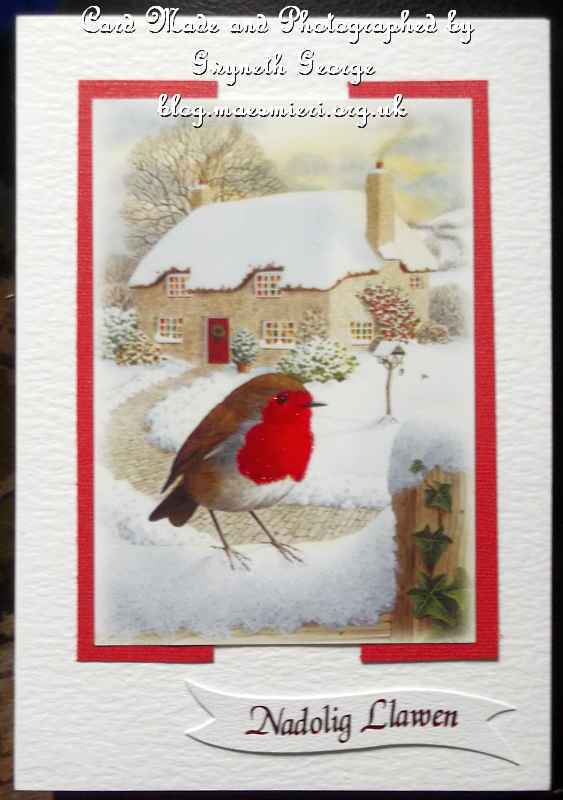 A big thank you to Avril for my card which is now on display in our sitting room. 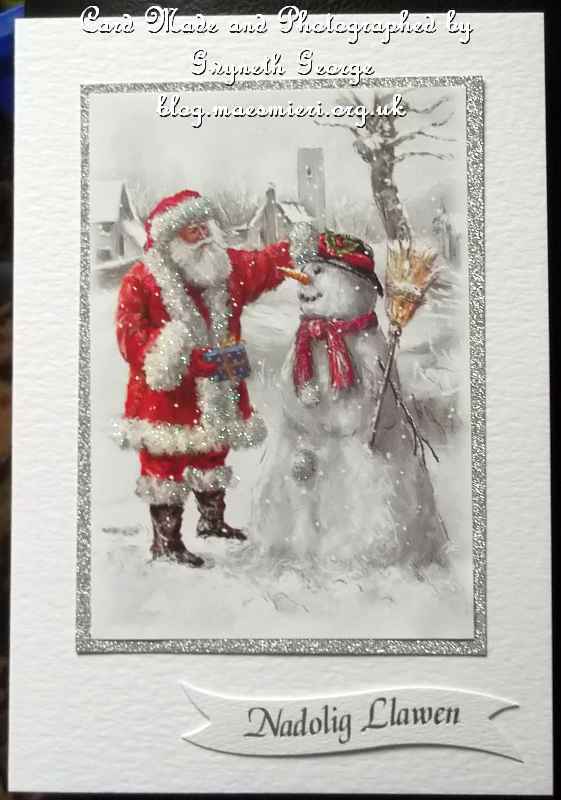 So, I’m hopeing that I’ve shown you all the cards I’ve made for Christmas this year – but something tells me that I nay have missed some. I’m going to go through all my crafting photos over the next week or so, and if I find any that are not up on my blog I’ll be back with more to show you in the new year. 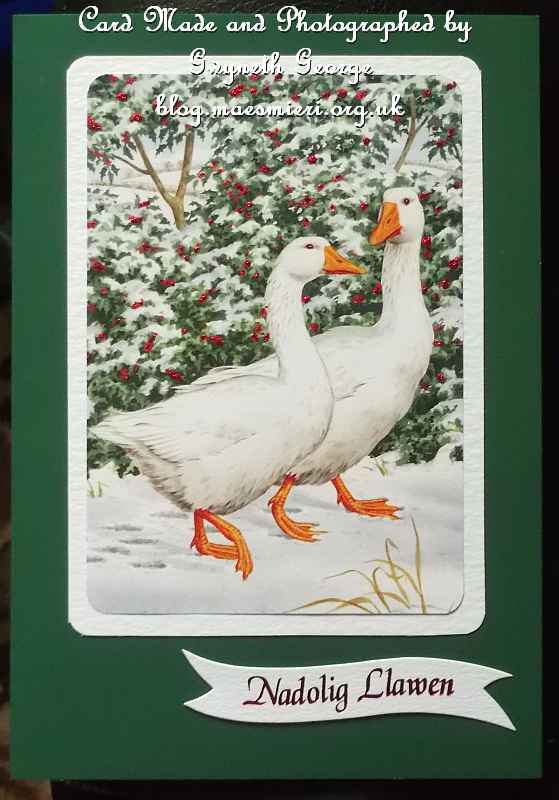 Now I want to concentrate on makeing an assortment of everyday cards that I want to give various family members and friends as Calenig – New Year’s Gift – not really started yet, so it may be a project on a quiet day between Christmas and the New Year. I’ve also got several other crafting projects I’ve either planned or have started on. So no telling what I’ll have to show you next. Well, Christmas day has come round again. A time to cellebrate the birthday of Jesus Christ. A gift from God to the world. 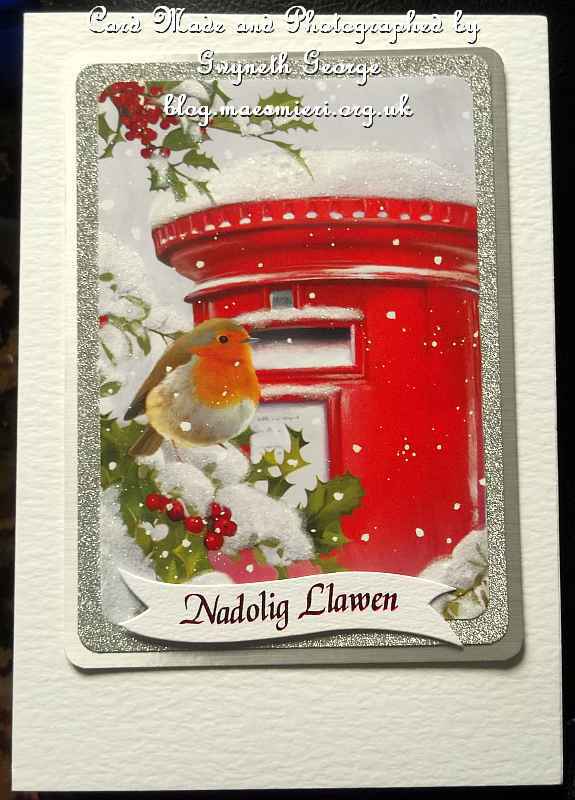 To all you Christians out there – I wish you “Nadolig Llawen”, a Happy Christmas. 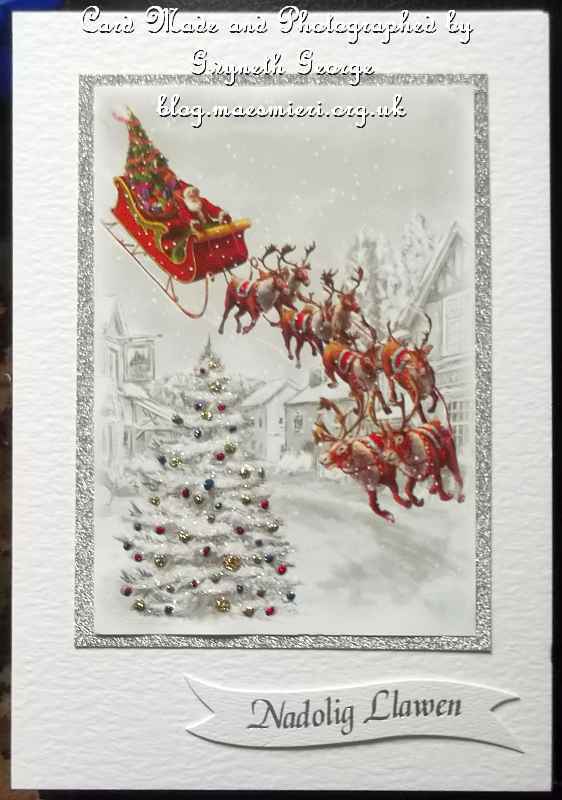 May you keep the reason for the season to the forefront of your mind as you enjoy the day and the festivities. I know that not all of those I come into contact with online are Christians, so not everybody will be celebrating Christmas, though some will be celebrating their own religious festivals around this time of year. 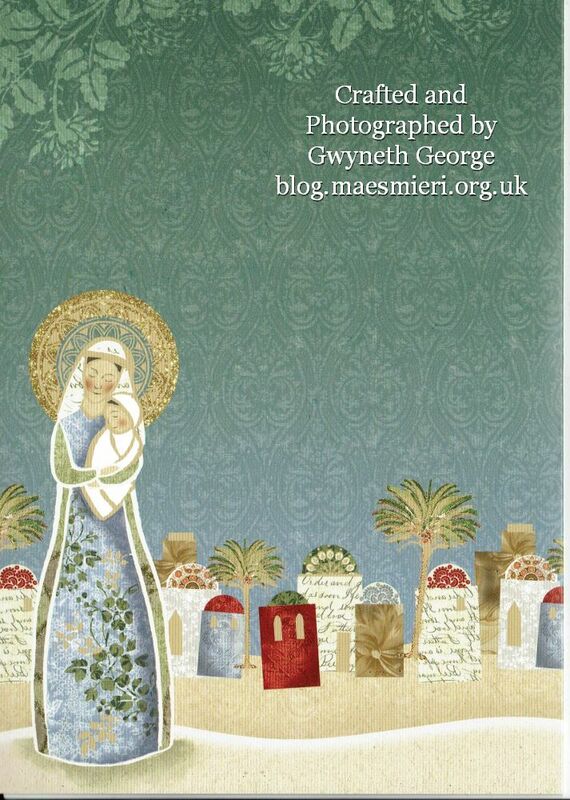 Whatever your faith, I wish you a peaceful and joyous time. 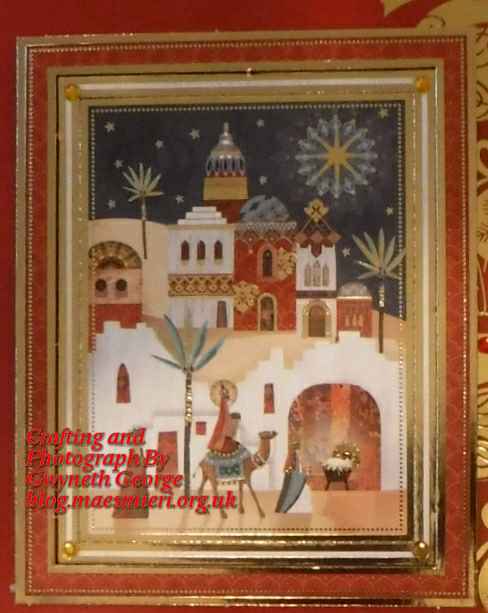 While I send Christmas cards to family and close friends, there is no way I can send cards to all of you I come into contact with online, so I’ve made a Nativity scene card to share with you all today. It is for all of you who’ve commented on my blog this year. All of you who have commented on my Facebook profile. All of you who have interacted with me in any group or page online. Thank you for being there. 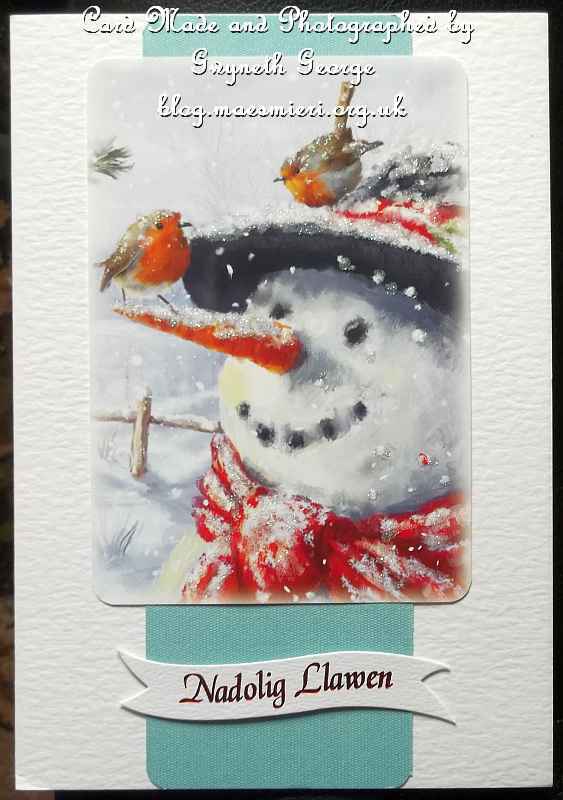 I have used some more items from a Hunkydory Christmas kit from this year to make this card. 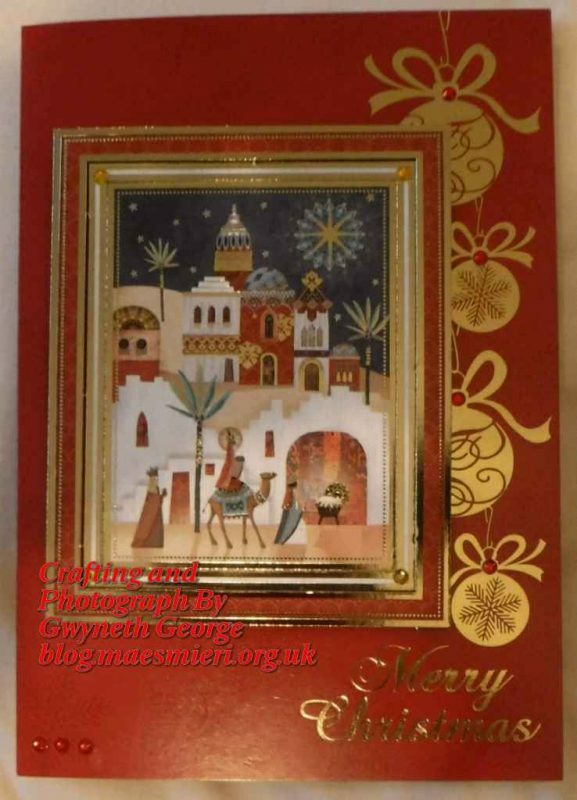 Together with a sheet of gold foiled background card and a piece of wrapping paper for the greeting panel. 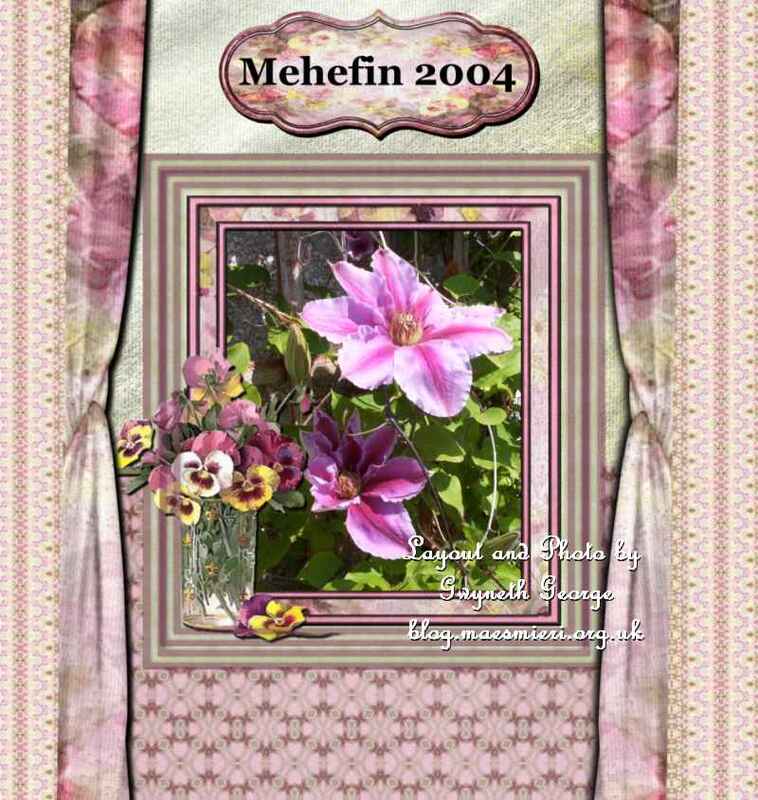 As the base card was a sheet of background cardstock from the same kit, that I scored and folded in half, the background image from the front caries on to the back of the card. I did warn you in previous posts that I’m on a mission to catch up with putting photos of my creations from the last year that I’ve not blogged before up to this site, so yes, today I have a batch of Christmas cards from last Christmas to show you. 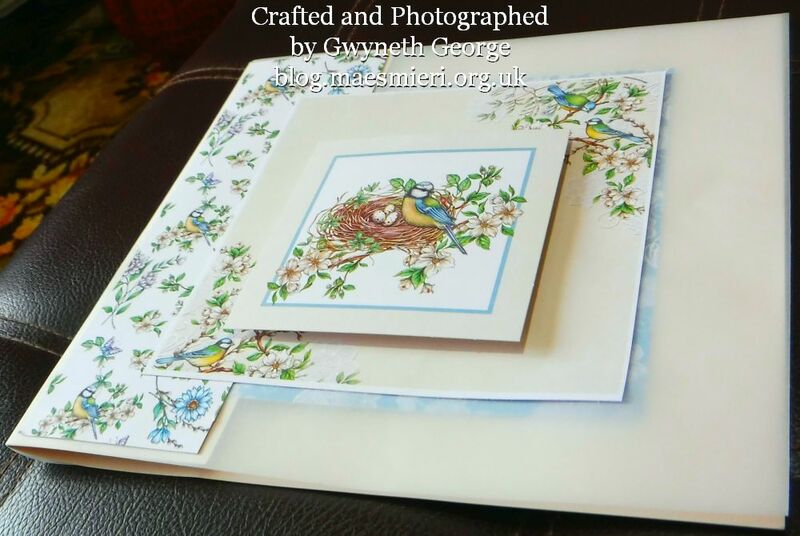 To be honest, I didn’t get photos of half the cards I made, just makeing and getting them written and into envelopes was energy sapping before Christmas. 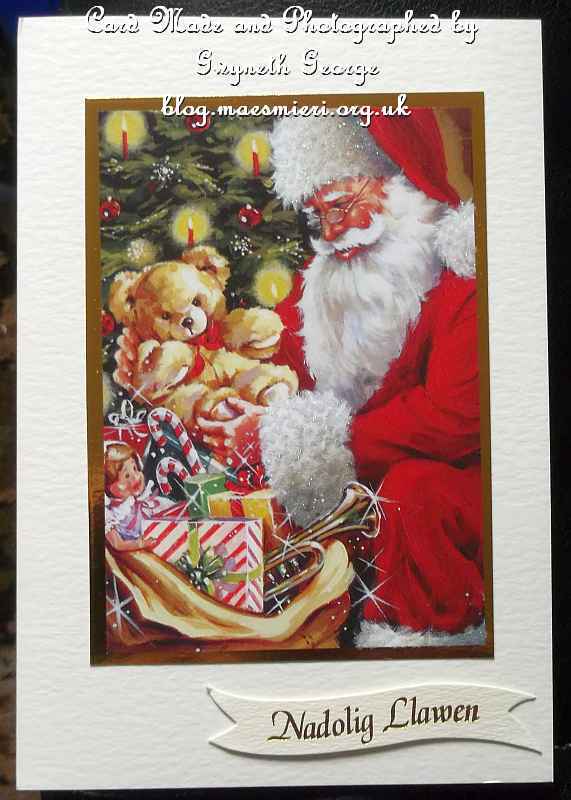 To be even more honest, I didn’t even get cards made for everybody I wanted to make cards for. 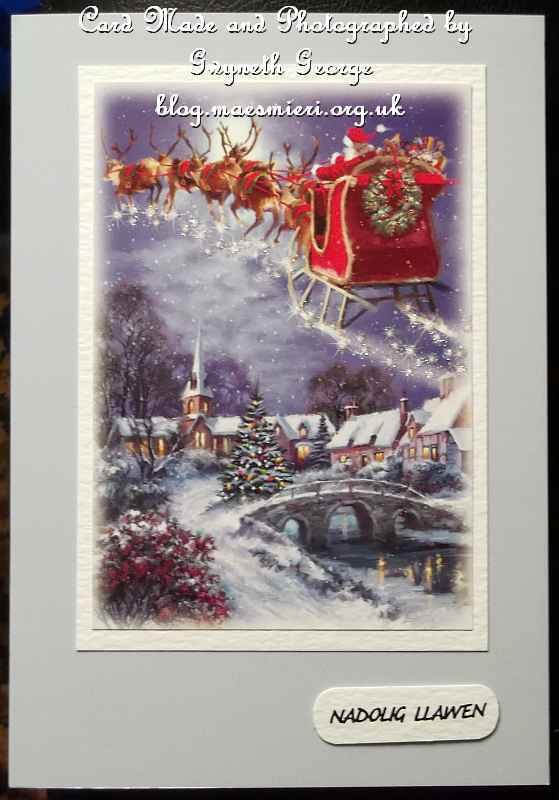 I had an order early on from an aunt for three dozen Christmas cards and I made those in three batches of a dozen each. So today’s makes are one of those batches. To make it easy for me to make the cards the batch I’m going to show you today were all made in a similar style. A4 base card scored to make an A5 card. An image from one of the selection of Hunkydory “Little Book” I’ve got. 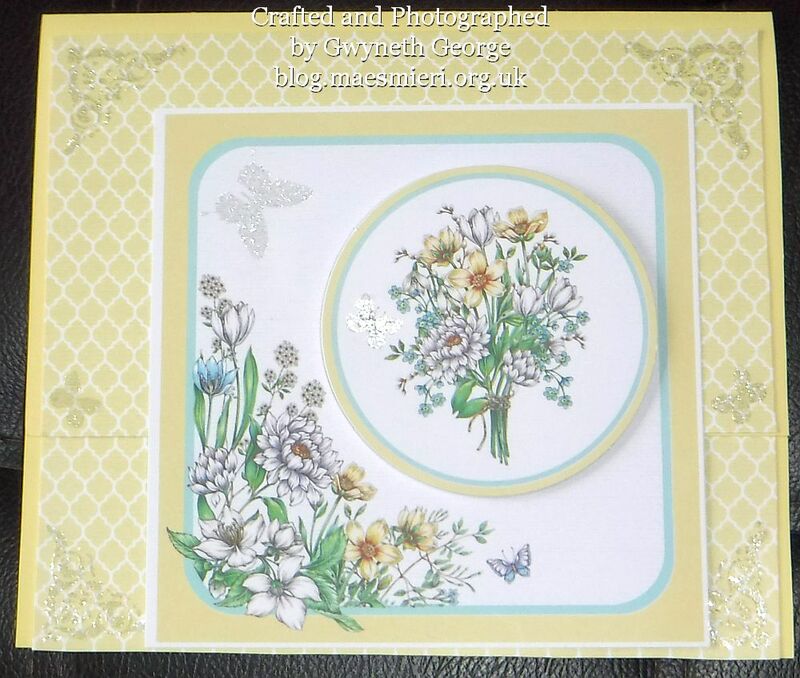 Some simple matting and layering, and a peeloff greeting. I hope I don’t upset any of the crafting friends I have most contact with online – But Arrrr! I’ve been totally fed up over the weekend with the half truth, half misinformation, that a lot of people have posted and that are filling my news feed. No! “All the” nothing are being hacked. If All were being hacked then the hackers would have more than likely changed the account password, and the person copying the “information” without checking whether it actually makes sense would quite probably not have access to their own FB account to post the copied piece. There are always hackers out there trying to hack people’s accounts, of all sorts not just FB, and one of the best ways to avoid being hacked is to have good, strong, different, passwords on all accounts. Make it difficult for them to hack, and have as little information about yourself included as possible – even use incorrect information as answers to questions that some sites use, so for example, if your mother’s brother David Davies is a FB friend and your interaction makes it clear what your relationship is, then don’t use Davies as an answer to your mother’s maiden name question on your banks site. It would be an easy one for hackers to guess, not necessarily to gain access to FB account but to other things. So lie when you initially set up an account and give answers to questions. Just remember what the lie was – use a password protected password keeper and note taker. Favourite teacher, first pet, favourite colour, food, etc, etc, are all things a determined hacker might read on your FB page and use to convince others they are you. Hackers may have a go at hacking accounts they come across, but “All accounts” are not getting hacked. “The profile picture and your name are used to create a new facebook account.” Well this isn’t a description of hacking in the first place, this is cloneing. And yes, there is a lot of cloneing going on, but nowhere near “All the accounts”. Don’t know whether it’s just prevalent in crafting circles because we are such a large community with a large circle of FB friends, with others we come into contact with through crafting groups, or whether other hobbies are targeted as well, so yes, we are all likely to come into contact with a cloned account every now and then, but it is likely to be a small proportion of our FB friends or ourselves who are affected by being cloned. And getting cloned means that all the cloners have got access to is what’s public on your profile. So, yes, cloners do copy pictures and basic information from the profile of the person being cloned and use it to create a copy account. And, of course, they target people who have lots of friends when looking for somebody to clone, because they have a long list of people ready to try and con. The first con is, as the half truth posts are saying, to send out friend requests from the clone account to all your friends, hopeing “your friends think it’s you and accept” – unless your friends have their wits about them, have a bit of sense, and say to themselves, “hang on a moment, I’m already friends with her/him”. “From this moment, the pirates can write what they want under your name! !” Actually, from the moment the cloners create the clone account they can write anything they want in that clone account or any wall they have posting or commenting rites to, but usually they write very little because a different way of writing may give them away to anybody they are trying to con into friending them. They can never write everywhere the person they cloned can write because just cloneing and coning one friend to befriend them doesn’t give them that sort of access, but of course, if they can write on the posts of anybody who’s accepted their requests. They rarely do though. One reason they might start writing on a person’s wall is to spam advertise, spread links to malware, etc. But on the whole I’ve not seen a lot of posting from clone accounts on walls of the assorted people who have befriended them. So, if you don’t already know, by now you are wondering why cloners bother cloneing accounts in the first place. What do they gain? Well firstly they don’t need to hack anything, they don’t need to try and guess or crack a password. Just copy a few details and a picture and they are away. Secondly, as people are likely to share more personal information with friends than they do public, as soon as somebody accepts their friend request they are likely to find out more about them. Thirdly, the person who’s account has been cloned knows nothing about it, hasn’t been hacked, hasn’t lost control of their account, doesn’t know that anything is going on behind their back to be able to warn all their friends that the clone account is an imposter. Not until a friend actually asks them on their old account about the new friend request. So the best defence from being taken in by a cloner is to search for that person’s name on FB and if more than one account comes up, with one already your friend, then you know to be cautious. Go to your friend’s account and see if anything is going on. Could be he/she already knows and has put a warning about the clone, or another friend has. Could be he/she has, for some reason, decided to start a new account so the second account isn’t a clone. One request I got lately was supposedly from a person I’d been FB friends with for years, and a quick check on the page made it obvious that she’s died over a year previously. And yet she was supposedly making a friend request from beyond the grave, and over 40 had accepted a friend request from her. One thing to note – quite often cloners block the person they’ve cloned from seeing the clone account if they search for their name. It slows down the person getting enough information to report the clone to FB to get it taken down. They may even block anybody who refuses their friend request. So getting a screenshot that includes the page address, before rejecting the friend request and marking it as spam, might be of help for the person who’s been cloned getting the clone down. Next, what do cloners gain from the person who was cloned not warning their friends that the 2nd account isn’t them? Time! Time to do more conning because of course just conning people to become friends is hardly what cloners want. Yes, they could make money from click pay adverts if they start posting on friends walls. Yes they could get all sorts of malware onto computers if they post links to not so nice sites. But another thing they do is go behind the scenes and use the FB messaging system to contact people directly. The aim being to con money out of them. There’s all sorts of leads they use, from the old chestnut of “I’m abroad and my money was stolen and I need £xyz to get home. Lend it to me and you’ll get it back, send it now” to the one about buying a lottery ticket together that won and needing bank details to pay over the half. Basically not a lot different to the ones where E-mail rather than FB is involved. If the cloner times their con to when the person they have cloned is on holiday, then they have a better chance of succeeding. So yes, there is truth within all these endless copies of posts I’ve been seeing more and more of over the weekend, but it’s not referring to anything new, it isn’t describing hacking, and the so called helpful warning is wasting time because those who copy and paste such info without checking for accuracy, and correcting it before posting, are just the type of person who would accept a friend request from the cloner without checking as well, probably just assume it’s OK, or even message the clone who wants to be their friend – are you really so and so opening a new account, and accepting the reply – yes – before clicking the friend button. Yes, that last statement is probably an over generalisation, but what I’m trying to say is that half truths thrown in with misinformation and very little information doesn’t really help educate those that are too trusting and accept everything they see online. 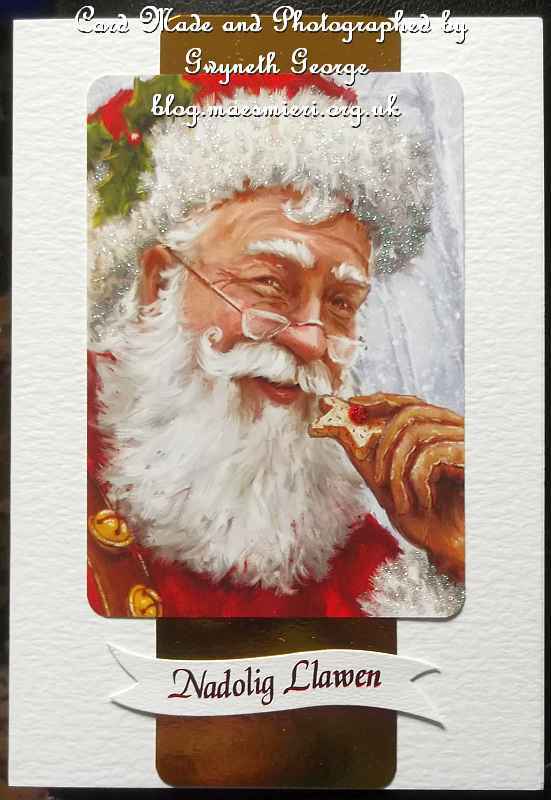 Click on each to see a larger photo of the card. Today a new collection is being launched in the Dragons Lair Designs store. 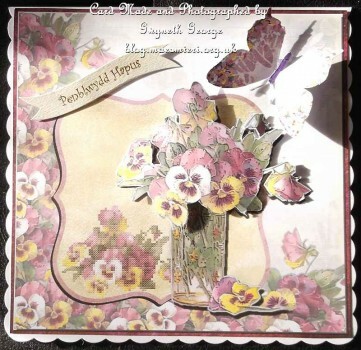 It’s full of different items for you to download and is called “The Pansy Collection”. 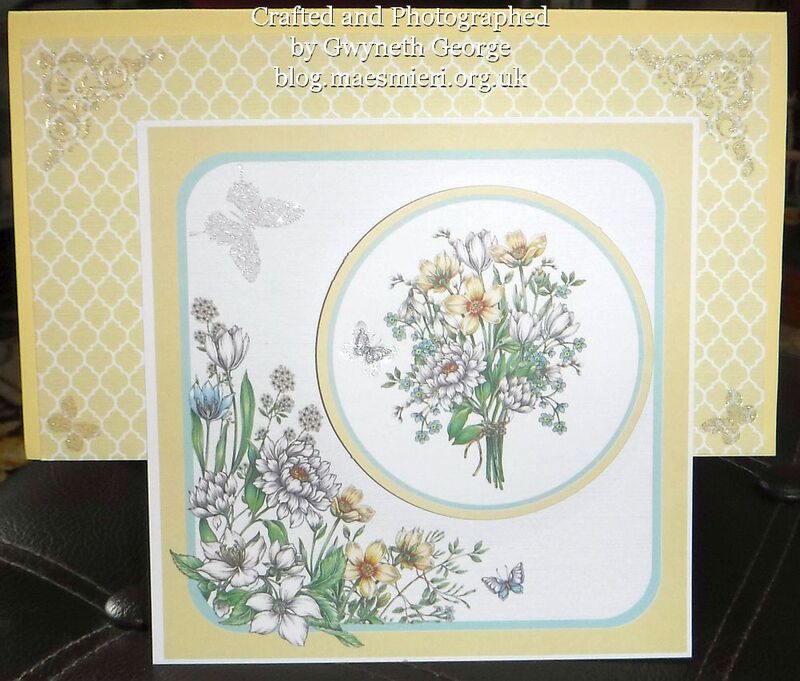 A few days ago I gave people a sneaky peak at this new collection when I posted a digital scrapbook layout I’d created using elements from The Pansy Collection and a photo of flowers from our garden that I’d taken a few years ago. 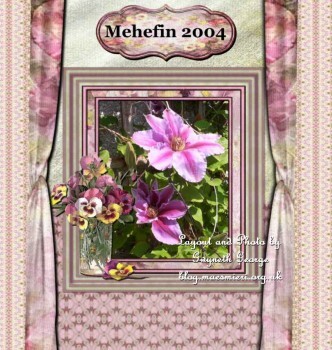 Today I have a card that I made using elements from the collection to show you. I again worked on the basic layout of this 8″ square card in My Craft Studio, and when I was happy with the layout I created an extra layer of the flowers in the vase and also a digitally punched out butterfly element. I printed out the sheet on an A4 sheet of 250gsm Super Smooth white cardstock and cut everything out. I cut everything out and attached the card front using fingerlift tape. I then used a Sakura Clear Glase pen to give a glazed look to the glass vase. I shaped the butterfly and the flowers layer and used glue gel to attach them to the card front. I also used the same glue to attach the Welsh greeting “Penblwydd Hapus” – which means “Happy Birthday”. 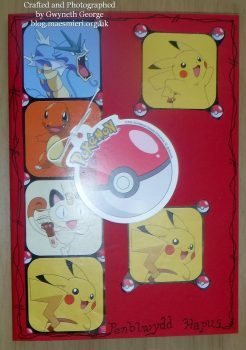 These pictures are to try and show the dimension of the elements on the card. 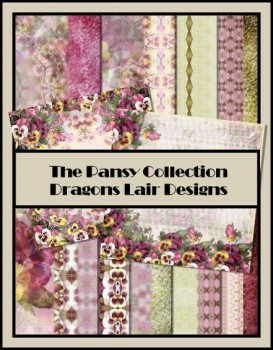 You can find the whole “The Pansy Collection” at the Dragons Lair Designs store. 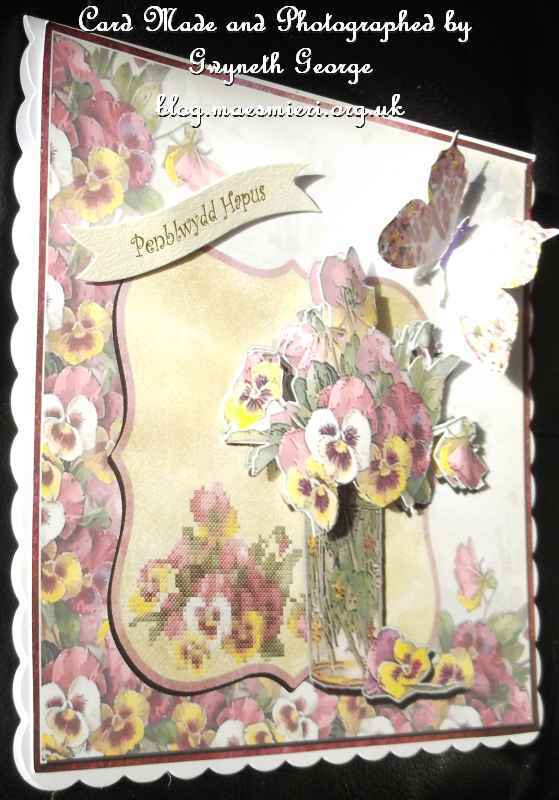 It’s a stunning collection with gorgeous colours in the backgrounds even if you don’t want to concentrate on the pansy theme. And that is it from me for today. 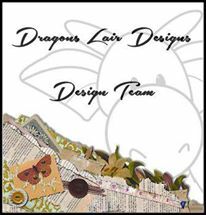 I hope my little creations will inspire you to visit the Dragons Lair Designs store and have a play with some of the digital downloads available to buy yourself. 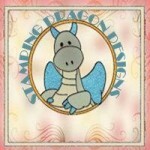 Please visit the “Dragons Lair Designs Inspiration Blog” regularly over the next few weeks as you’ll find various “Inspiration by …” posts appear from the other design team members, as well as colouring tutorials and other posts. I’ll be back with more posts for the “Dragons Lair Designs Inspiration Blog” over the coming months as well, so keep an eye out for those too.